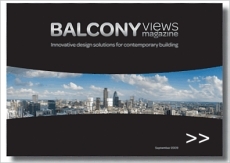 Originally launched in summer of 2010 the magazine is posted out to over 18,000 architects, builders and property developers in the UK. The magazine is also distributed at the Grand Designs exhibitions at both Excel London and Birmingham. Subscription is free within the UK.